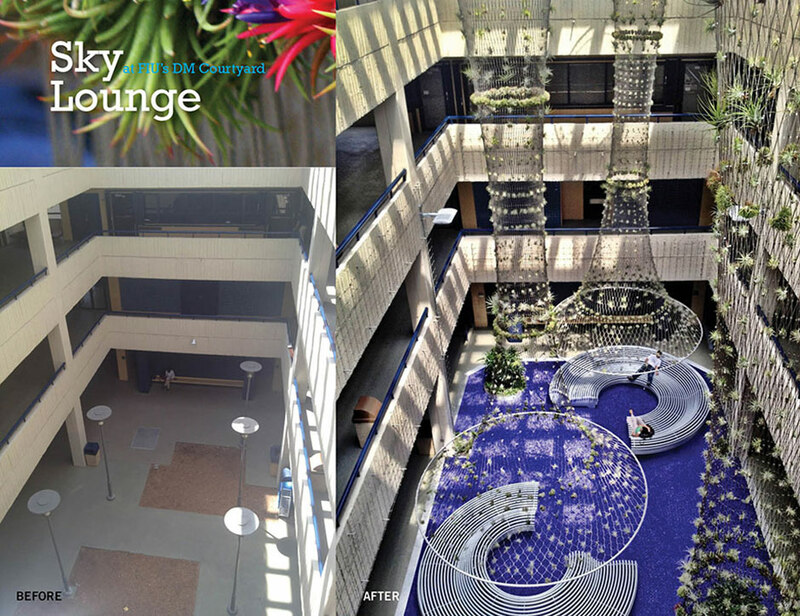 a destination unlike any other on campus. 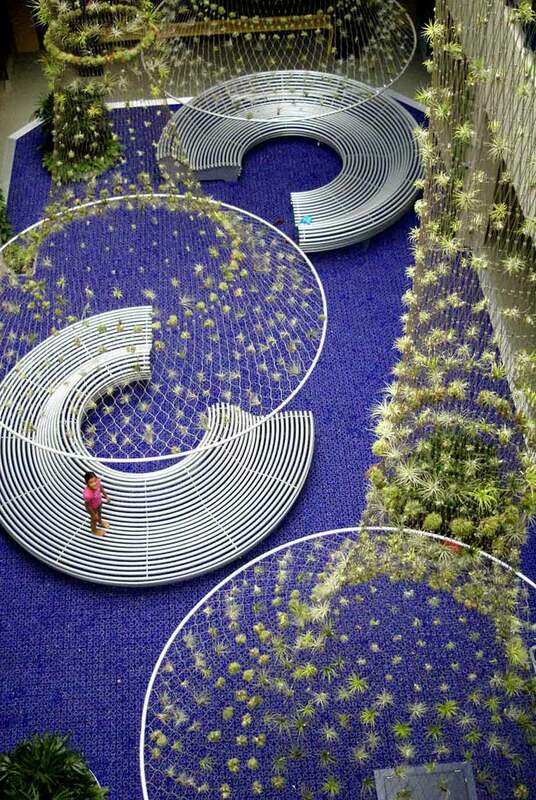 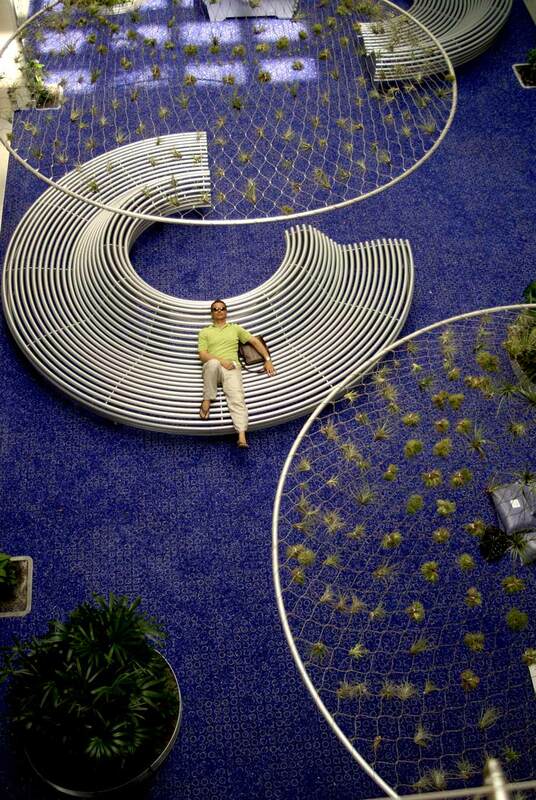 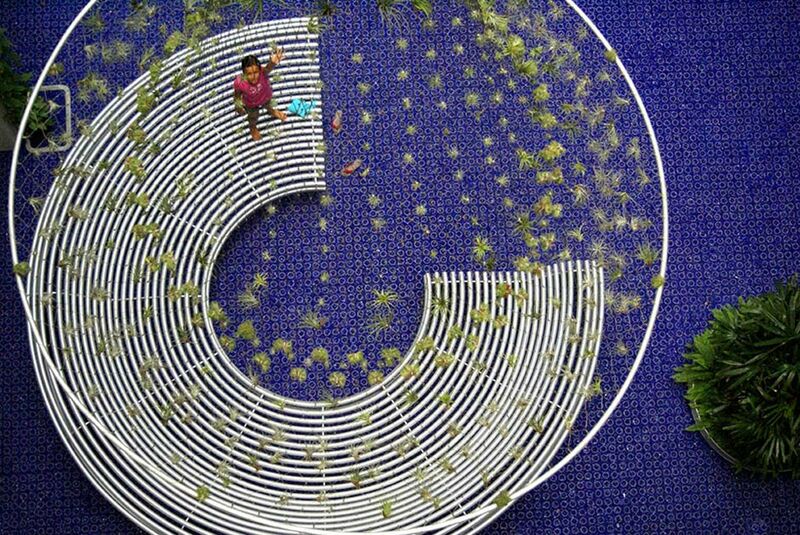 Over 3,000 air plants hang from light stainless steel braided shapes overhead and large circular benches, custom-designed for this project, provide a place to sit back, relax and take in the sky above, the blue glass underfoot, and the vines that will eventually cover the surrounding walls. 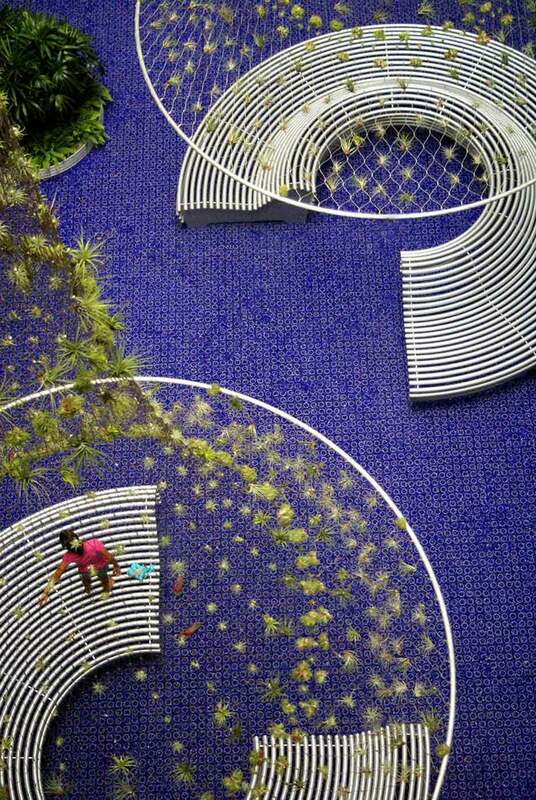 Read the coverage in Landscape Architecture Magazine here. 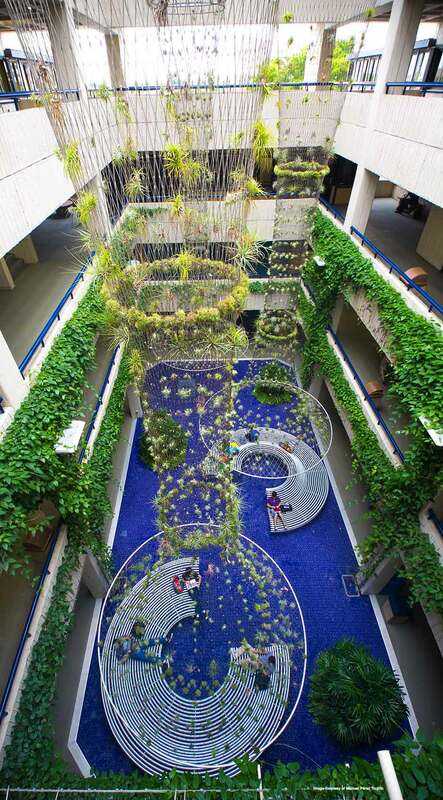 Funding for this project comes from various sources, including the Student Government Association, the College of Arts & Sciences, Facilities Management and donations from Permaloc Corporation, Stobs Brothers Construction, MCHarry Associates, and Studio Roberto Rovira.